This is the first full school year since Rowan’s Law was passed in Ontario. But although there’s plenty in it for parents, teachers, coaches and students to cheer about, there’s less to the concussion legislation than meets the eye — at least for now. 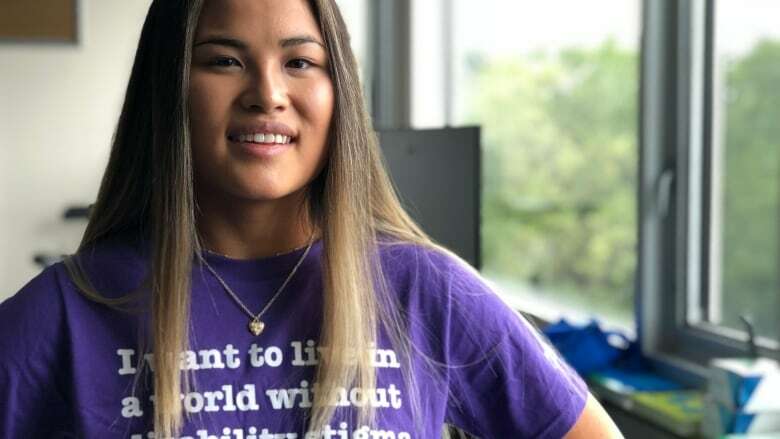 Maddy Hearne never wanted to become an expert in how to recover from a concussion, but the Grade 12 student from Toronto hasn't had much of a choice. Hearne, 18, has had six of them already, having experienced her first in Grade 8. Three happened in dance class during a complicated flip. She even sustained one head injury at school when someone accidentally "boxkicked" her in the head, she says. 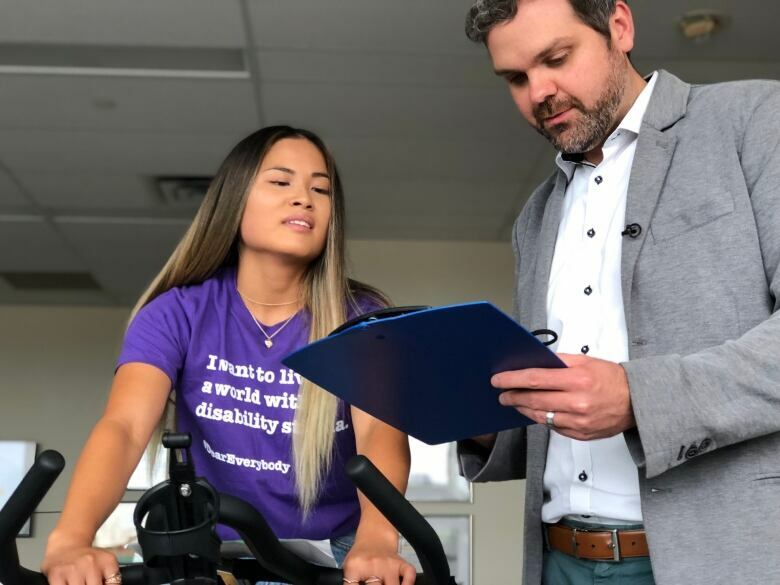 "Some of my symptoms would be feeling foggy, nauseous, a lack of balance, blurred vision, which was really hard to do any schoolwork with," Hearne said Friday at Toronto's Holland Bloorview Kids Rehabilitation Hospital. She added that early on in her treatment, medical professionals didn't always understand what she was going through. "I would explain all these symptoms and it felt like they weren't listening to me ... Because they can't see it, they don't really believe you." 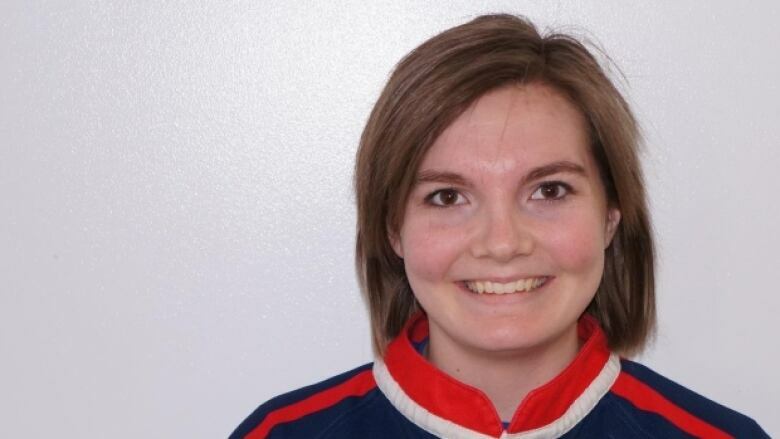 Teens like Hearne are why Ontario passed a private member's bill last March called Rowan's Law — in memory of Rowan Stringer, 17, an Ottawa high school student who died of head injuries she sustained playing rugby — to protect students and amateur athletes. But although Rowan's Law calls for things like a code of conduct that would set out rules of behaviour to minimize concussions while playing sports, and preseason education for parents, coaches, referees, student athletes and teachers — none of its rules and regulations are written yet and information about head injuries are not yet part of the province's school curriculum. Accurate statistics on youth concussions in Ontario are hard to come by, but experts describe it as an "epidemic." There was a fourfold increase in the number of reported pediatric head injuries between 2003 and 2013, according to Dr. Nick Reed, clinician scientist at Holland Bloorview. And as hundreds of thousands of kids return to school this week, the province doesn't have a system in place to track teen concussions and gather the data it needs. In an email statement to CBC Toronto, the Ministry of Tourism, Culture and Sport says it's still sifting through the information from the 45-day consultation process that began soon after the bill was passed. "We received hundreds of submissions and we are currently reviewing this important feedback which will eventually inform the development of the regulations," the statement reads. But the province would not say when it would begin writing those regulations or when they would be in place. School boards across the GTA have established — or are establishing — concussion protocols to impose, among other things, rules for players to ensure they are taken out of a game if they are suspected of having a concussion, and when they can return to competition. The Toronto Catholic District School Board, for example, instituted its protocol in 2014 and the Toronto District School Board has had one since 2016, mandating information sessions for staff and tracking the number of concussions at TDSB schools. But Samantha Bureau, public relations director for the Concussion Legacy Foundation Canada, says making concussion education an integral part of the curriculum and teaching students how to recognize the symptoms at an early age "is really what's going to shift this epidemic." "If you can get to kids when they're seven, eight, nine … they're going to be learning this day to day," Bureau said. "You know like, 'This is the norm. Yes, I should report a concussion. Yes, if I'm not feeling well I need to tell someone.' So for us ... getting it into schools would make that a lot easier to do." But Bureau says she understands why the province hasn't changed the curriculum yet in accordance with the bill. "There's a lot of working pieces that need to happen ... so while it would have been nice to have everything in place between March and now, we understand it's definitely not ideal," she said. 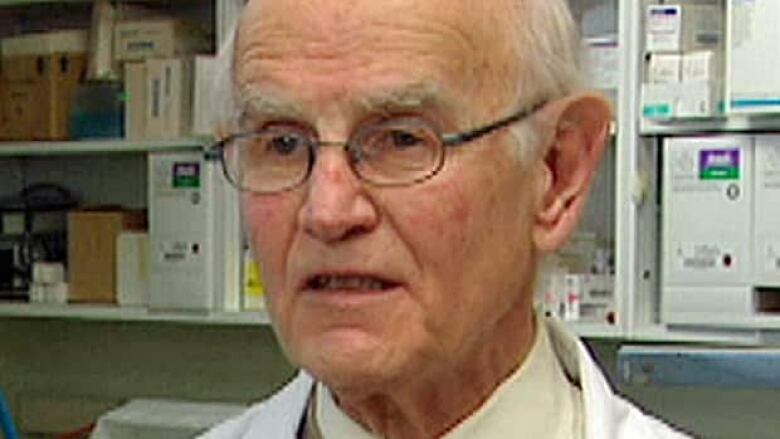 Dr. Charles Tator, director of the Canadian Concussion Centre at Toronto Western Hospital, pushed for the inquest into Rowan Stringer's death and helped advise the province on the drafting of Rowan's Law. He says the province should take all the time it needs to get the regulatory regime right. "Writing the regulations can be pretty complicated. I can understand that it's taking time," he said. "We're the first province in the country to do it, so I would really like to make sure that it's as good as possible." 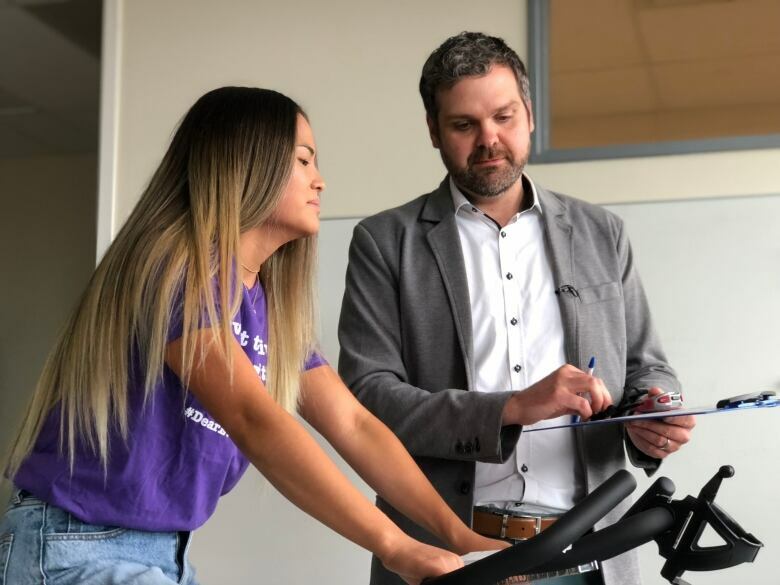 But figuring out how to enforce the regulations will be "very difficult," Tator says, citing the problems with the province's bicycle helmet law. "When you look at the average street, how many kids are helmeted? The majority, but not all," Tator said. "And how many kids have gotten tickets, or penalties, or how many kids even get stopped and told, 'Look, you're breaking the law?'" Meantime, Hearne goes into Grade 12 with much more awareness about how to recover from concussions. "I think it would be amazing if everyone had a strong knowledge of what a concussion is," she said. "Then, they can better support others and when they get injured they can get proper care."